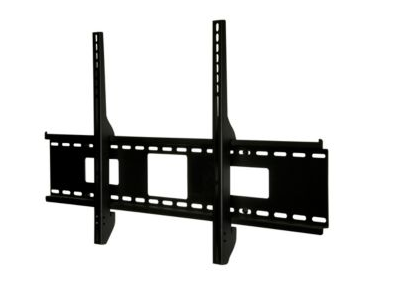 Peerless Wall Mount suitable for use with the 65" Ctouch Interactive touch screens. The sturdy SF670 wall plate holds displays weighing up to 250lb while featuring junction box access ports and horizontal display adjustment up to 12" for ideal display positioning. It’s easy-glide brackets enable quick display-to-mount attachment with a simple hook-on design. Delivering an ultra-slim profile, this mount is the essential element for low-profile installations of extra-large displays. Low-profile design holds display only 44mm. Minimum to Maximum Screen Size: 42" to 71"